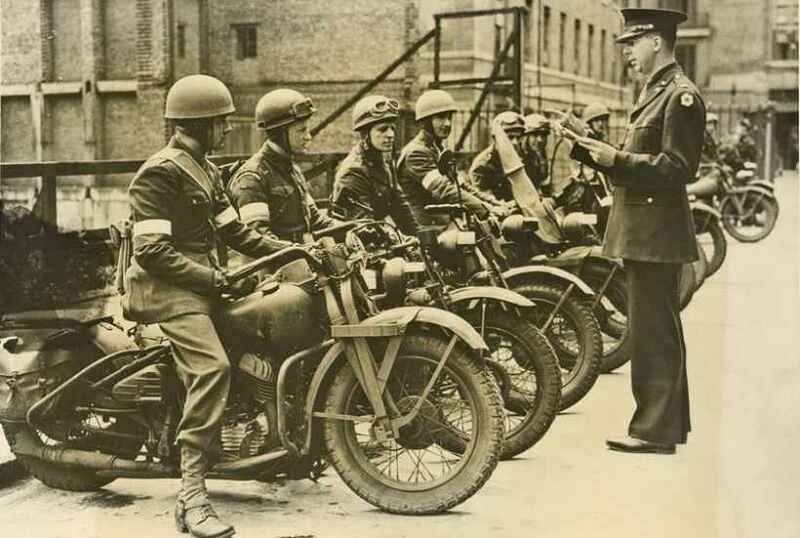 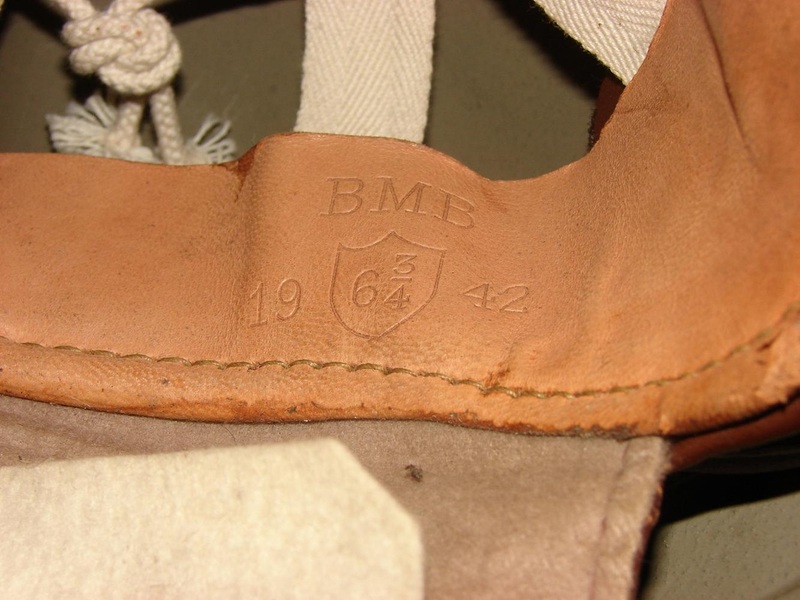 The 1942 MkI Dispatch Rider helmet shells were made in two sizes and the liners ranged in size from 6 1/4 - 7 1/2 and manufactured solely by Briggs Motor Bodies "BMB" in Dagenham. 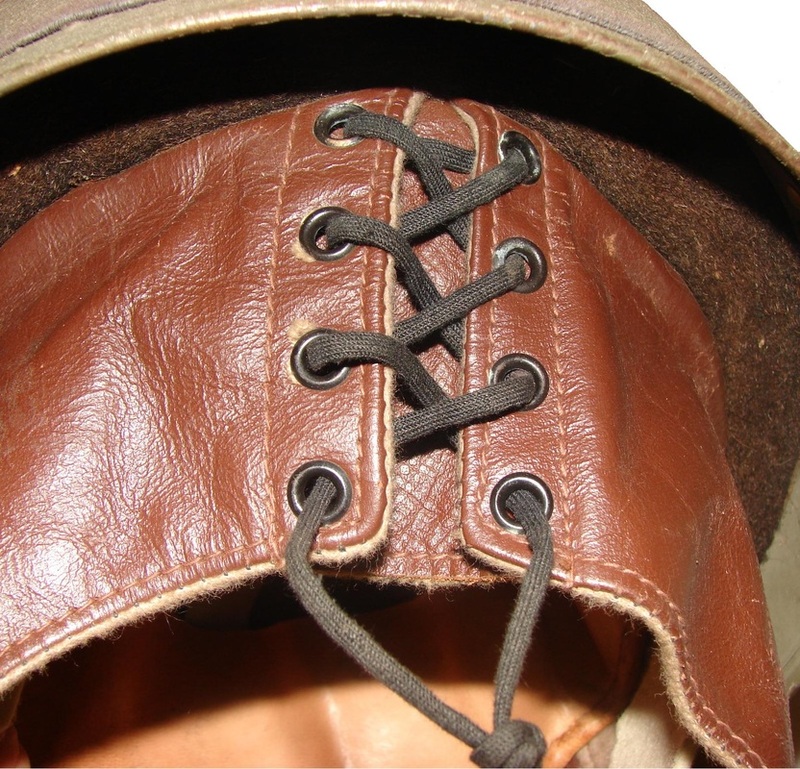 The liner has a leather neck flap and front pad for added stability. 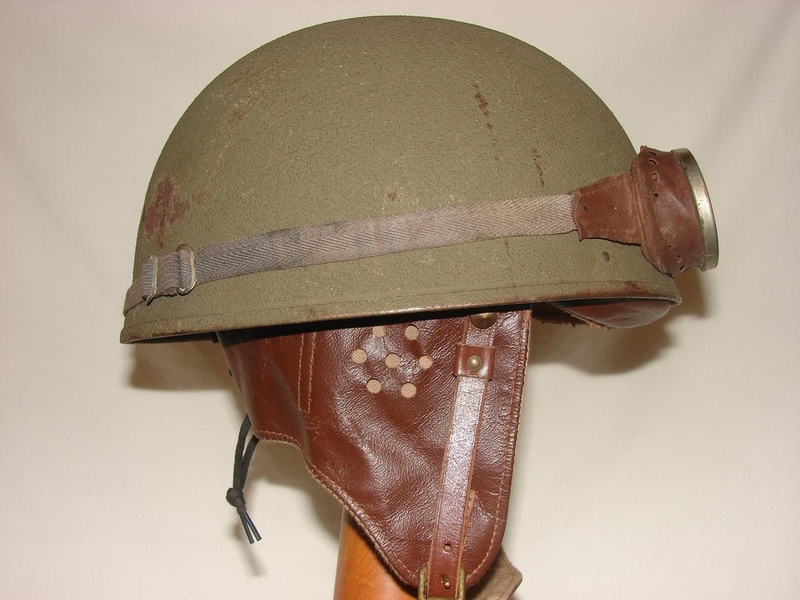 The configuration of the shell is very similar to that of the airborne helmet. 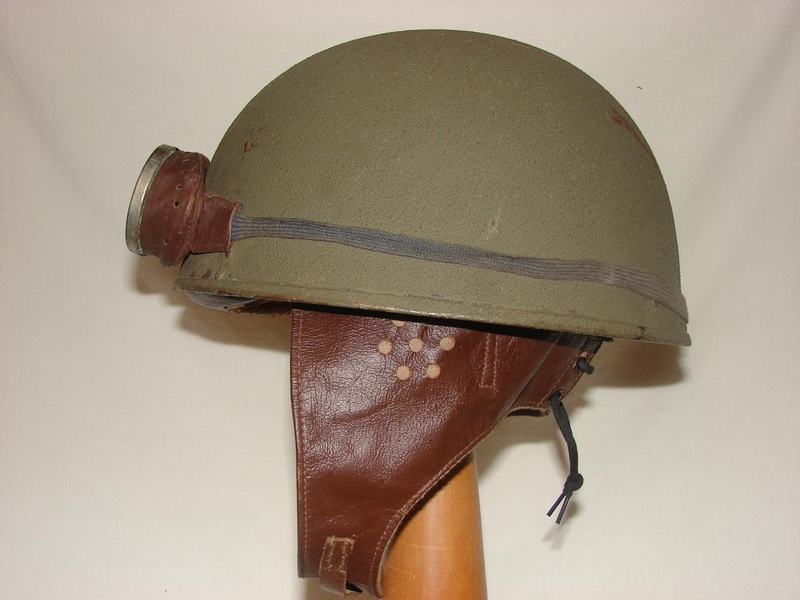 These helmets were produced from 1942 to 1945. 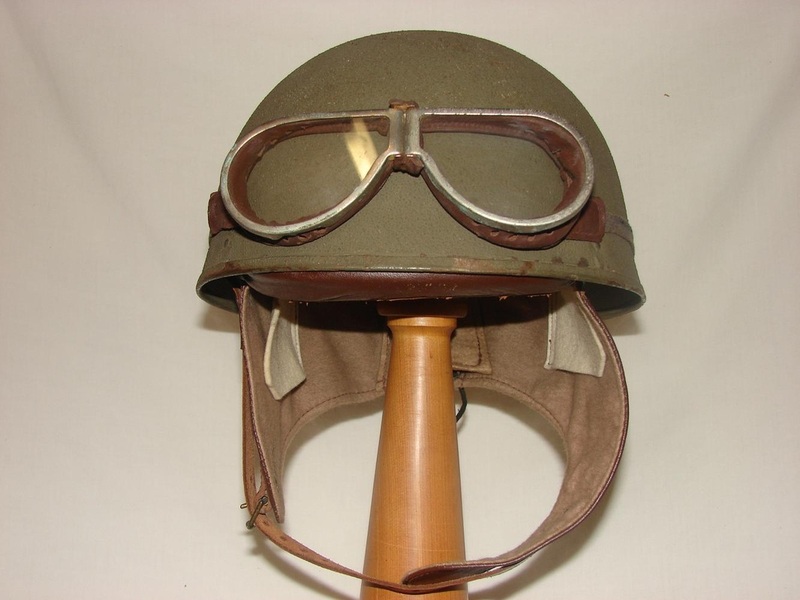 The goggles are the MkII type commonly used by Dispatch Riders as well as the RAF during WWII. 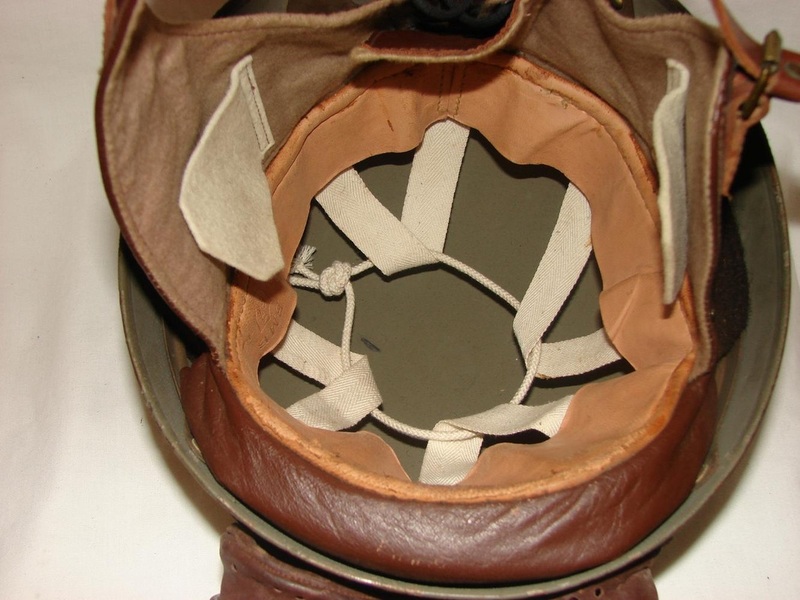 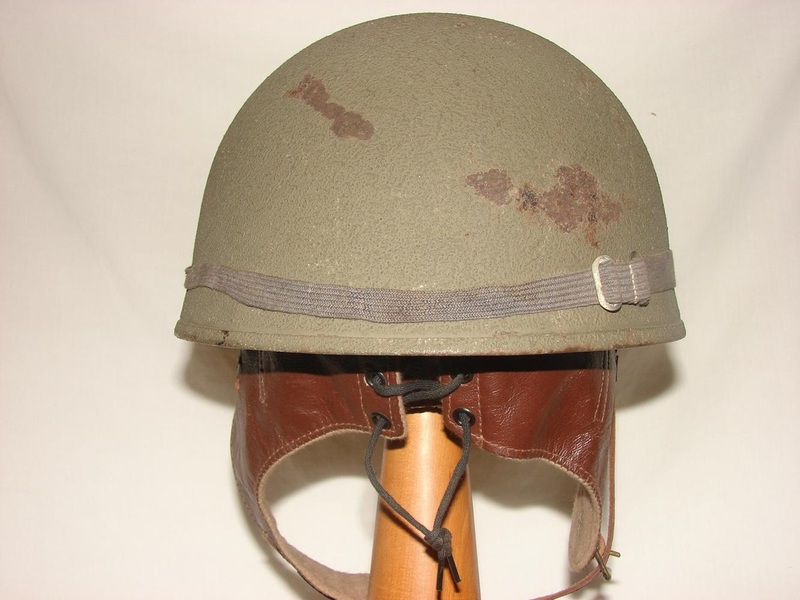 This helmet was manufactured in 1942 and is a size 6 3/4.